Health information is among the most sensitive forms of personal information – and protecting it is foundational to the doctor-patient relationship. The increasing convenience for physicians to use technologies such as smart phones and tablets, emails and websites, and video conferencing to consult with colleagues, patients, and other health care providers has meant a change in the way that personal health information is collected, used and disclosed. However, this greater reliance on technology to communicate patient care with others brings with it increased security risks and greater challenges for physicians to maintain confidentiality of their patients’ personal health information. Lost or stolen laptops, intercepted electronic communications, and unencrypted memory sticks are just a few of the many ways privacy breaches can occur. To assist physicians in meeting their obligations under the Personal Information Protection Act (PIPA), Doctors of BC, the Office of the Information and Privacy Commissioner for BC, and the College of Physicians and Surgeons of BC have partnered to update the BC Physician Privacy Toolkit: A guide for physicians in private practice, originally published in 2004 and subsequently updated in 2009 and now in 2017. Along with the updated BC Physician Privacy Toolkit, this site includes comprehensive resources physicians can rely on to make complying with PIPA easy and straightforward. * Computers, photocopiers, cellular phones, etc. * On websites, in brochures, etc. To find a question you need an answer to, press Crtl-F on your keyboard and enter a keyword. For example, if you are looking for information about how to respond to a privacy breach, enter the word breach and press the enter key. How can a patient request access to their personal information? The patient can complete and send you the Patient Request for Access to Personal Information form. How can a personal representative of a deceased patient request access to their loved one’s medical records? Under Section 3 of the PIPA Regulations, the “personal representative of the individual at the time of the individual’s death or, if there is no personal representative, the nearest relative” may exercise access rights of the deceased individual and give or refuse consent to the collection ,use and disclosure of personal information of the deceased. The personal representative can complete and send you the Patient Request for Access to Personal Information form. A physician is obligated to provide a copy of records when provided with a written, dated authorization form. How much can I charge for providing access to a patient’s medical records? PIPA permits a physician to charge a “minimal fee” for access to a patient’s medical records. Providing copies of relevant information contained in a medical record and/or forwarding a file to another physician should be done promptly and never be delayed pending payment of the “minimal fee”. Physicians should be mindful of the patient’s economic circumstances when charging this fee. The Office of the Information and Privacy Commissioner for BC interprets “minimal fee” to be a “nominal fee”. For more information from the College of Physicians and Surgeons of BC, see Medical Records. What is required to provide patient information to law enforcement agencies? While it is not mandatory, PIPA permits the disclosure of personal information to a law enforcement agency to assist in an investigation (or the decision to undertake an investigation) to determine whether the offence has taken place or to prepare for the laying of a charge or prosecution of the offense in Section 18 (j). For more information from the College of Physicians and Surgeons of BC, see Disclosure of Patient Information. What should I do if I accidentally mail something to the wrong address? Examine the envelope to ensure it was not tampered with. Open the envelope and remove the contents, discarding the old envelope. Place the contents in a new envelope addressed to the correct recipient and put it in the mail. This correspondence containing personal and confidential information was sent to an unintended recipient. We value the privacy and security of your information and have asked the recipient to confirm secure destruction of the information. We do not believe your confidential information has been compromised but are obligated to advise you of this error. If you are concerned about your personal information being compromised, you can contact credit reporting agencies to set up a credit watch (e.g., Equifax or TransUnion). You have to option to file a formal complaint with the Office of the Information and Privacy Commissioner for BC. The contact information can be found at https://www.oipc.bc.ca/about/contact-us/. We apologize for any inconvenience this error has caused. If you have any questions or concerns, please feel free to contact me or send an email to our privacy officer at <provide email address here>. Prepare the original correspondence again. Place the contents in an envelope addressed to the correct recipient. What should I do if I accidentally send a fax to the wrong number? When the mistaken recipient contacts you, ask them to immediately shred the faxed documents. This fax containing personal and confidential information was sent to an unintended recipient. Prepare the fax cover page again and add 1 page to the total number of pages. Fax the documents and apology letter to the correct recipient. Check to ensure you have a fax disclaimer set up so that all outgoing faxes include the disclaimer. See Fax Disclaimer Template . What should I do if I accidentally send an email to the wrong person? Confirm by return email once these steps have been completed. This email containing personal and confidential information was sent to an unintended recipient. List the types of sensitive information that was mistakenly disclosed (e.g., name, gender, age, Care Card number, home address, phone number, email address, medical information). Asked the recipient to confirm permanent deletion and secure destruction of the information. Reviewed our procedures to prevent this from occurring in the future. Communicated those procedures to staff. Check to ensure you have an email disclaimer set up so that all outgoing email includes the disclaimer. See Email Disclaimer Template . How can a patient request a correction to their personal information? The patient can complete and send you the Patient Request to Correct Personal Information form. What internal controls can be put in place to ensure accuracy? What is a privacy breach and what needs to be done if it happens? For more information from the Office of the Information and Privacy Commissioner for BC, see Privacy Breaches: Tools and Resources. What are the safest ways to collect personal information? Patient information should be collected on a standard form. If collecting information verbally, ensure you are in a private place where no one else can hear. Can I obtain consent to correspond electronically with a patient? Please refer to the Canadian Medical Protective Association (CMPA) for Consent to Use Electronic Communications. Is consent required if photos are taken and will be used in a presentation? If it is in a business setting and the only people being photographed are involved in the project then consent is not required. If there are any other people whose photos may be included (such as patient) then consent in writing is required. Can I disclose medical records to anyone outside my practice? Please refer to the College of Physicians and Surgeons of BC Medical Records guidelines. How should records in paper format be disposed of? When destroying information, a Certificate of Destruction should be completed. How should data on portable media (CD/DVD/USB) be disposed of? How should data on computers and servers (desktop, personal computer, laptop or file server) be disposed of? How should data on backup systems and media be disposed of? What if a patient asks us to send them an email to an email address we do not have on record? Can I use a shared fax machine with the big box store in which my practice is located? Physicians are discouraged from using shared fax equipment as control over access to patient data cannot be ensured. For more information, see Guidelines for Use of Email or Fax . Is it safe to leave paper files unattended in the office? This should never be done as they could at risk of unauthorized access or theft. Is it safe to save files on the C:\ drive on your desktop? This should never be done as the files will not be backed up and there is potential that they could at risk of unauthorized access or computer theft after-hours. Is there a standard set of questions to ask when verifying someone's identity over the phone? What is your Care Card number? When did you see the doctor last? When did you have your last blood test? Keep in mind that someone impersonating a patient may already know much of this information. When is it appropriate to provide your Social Insurance Number (SIN)? How does someone challenge our compliance with privacy legislation? Anyone can contact your privacy officer in writing, in person, by email or by phone with their concerns. Under PIPA, a response is required within 30 days. Their contact information should be published on your website or in your office. If they are not satisfied with your response, they can make a compliant to the Office of the Information and Privacy Commissioner for BC. The contact information can be found at https://www.oipc.bc.ca/about/contact-us/. Can you remotely scrub a mobile device if it is lost or stolen? Some devices can be disabled and/or scrubbed remotely. How safe is it to save files on a USB key? It depends on whether it is encrypted. USB keys are small and are easy to lose. The best practice is to never put sensitive information on a USB key. If files have to be saved to a USB key, they must be encrypted and/or password protected. Information, including Personal Health Information, about an identifiable individual which includes factual or subjective information about that individual. This information includes, but is not limited to, name, personal address, birth date, physical description, medical history, gender, education, employment and visual images such as photographs or videotapes. What safeguards over personal information can be put in place? Can I contract with a third party outside Canada for appointment and recall services? Physicians are discouraged from letting personal information of patients leave Canada, even though there is no requirement under PIPA. The Canadian Medical Protective Association (CMPA) does not condone use of non-Canadian-based service providers when personal information is involved. Can I contract with a third party outside Canada for transcription services? If you do want to use a service provider that is outside Canada, you can anonymize the data (by using initials instead of name or by using an ID number that is not associated with their government-issued IDs). Then the data being transcribed cannot be tied to an individual by the third party. Can I grant remote access to a third party outside Canada for transcription services? Physicians are discouraged from granting access to patients’ data in their EMR systems as the control over the information is compromised and risk of a breach is high. These safeguards are difficult to accomplish with a third party. Can I use cloud-based services in my medical practice? Some cloud-based services such as Google Cloud print and Microsoft Office 365 store data on servers in the U.S. Physicians are discouraged from letting personal information of patients leave Canada, even though there is no requirement under PIPA. Geographically, where will the data be stored and if in Canada, what is the proof? Has the provider been involved in findings under the EDA, FOIPPA, PIPA, PIPEDA? What security measures are in place to protect data, both physically and digitally? What happens to the data once the contract with the provider is terminated? Is data backed up regularly off-site and if so, where? How can we make third parties accountable for protecting confidential information shared with them? Ensure you have a Confidentiality and Data Sharing Agreement in place. What are the safest ways to transmit personal information? Compact Disk via mail or courier where there are risks of loss in transit. If this method must be used, files must be encrypted and/or password protected, even if the CD is hand delivered. Email where there are risks of misdirection or redistribution. If this method must be used, files must be encrypted and/or password protected. I’ve opened a new rural practice in Smalltown, BC and will take over patient care from the Health Authority (HA). Will those patients’ medical records be subject to FIPPA or PIPA once I take over, and what considerations will affect how I can access the medical records? It is a complex issue and needs to be dealt with on a case by case basis. The HA is governed by FIPPA and the physician’s office is governed by PIPA. The legislation is not united, so it helps to look at it from the point of view of “who has custody or control of the medical records”, “who has liability if the records are not adequately protected”, and “who is most likely going to get sued”? If it is determined that FIPPA applies, s. 3(2)(d) of PIPA states that PIPA will not apply. Legal custody and control is relevant because of the legislation. Who will have custody and control of the medical records? Does the patient need to provide consent for your office to provide care? How can continuity of care be ensured? What are the patient’s expectations with respect to how their personal information should be handled? Will your office be within the HA or in a different location? Will you be using an Electronic Medical Records system? Will you require copies of all patient records and work independently of the HA? Will you work collaboratively on patient care with the HA so that information will flow in both directions? If you are working collaboratively on patient care with the HA, are you privileged or credentialed with that HA? Will medical records remain on the HA’s Electronic Health Records system? Can I access my family or friend’s medical records? Physicians and their staff are not allowed to access these records unless the practice is providing care. What’s the difference between FIPPA and PIPA legislation? PIPA does not include the FIPPA provisions regarding storage and access to personal information from outside Canada. As long as privacy is contractually protected, data can be stored or accessed from outside Canada. PIPA requires consent for the collection, use, and disclosure of personal information. It is up to the organization to determine whether the form of consent is expressed (written or verbal opt-in) or implied (opt-out or deemed). FIPPA does not contain consent requirements; instead it operates on the principle of appropriate authority and “notification” for collection of information. Can I share my password with visiting physicians or locums? Physicians should refrain from sharing their login information with other physicians. Each individual should have their own unique credentials for system access. Login information should never be communicated by email. If login information is received by email from a vendor, the email should be deleted as soon as possible. The Information and Privacy Commissioner for BC expects your practice to have a privacy management program that includes training and education. These videos are about 2-4 minutes long and are accompanied by Notes pages which include points discussed. They can be used individually to explore specific topics. A full video is available for employee orientation and refresher training in your practice. 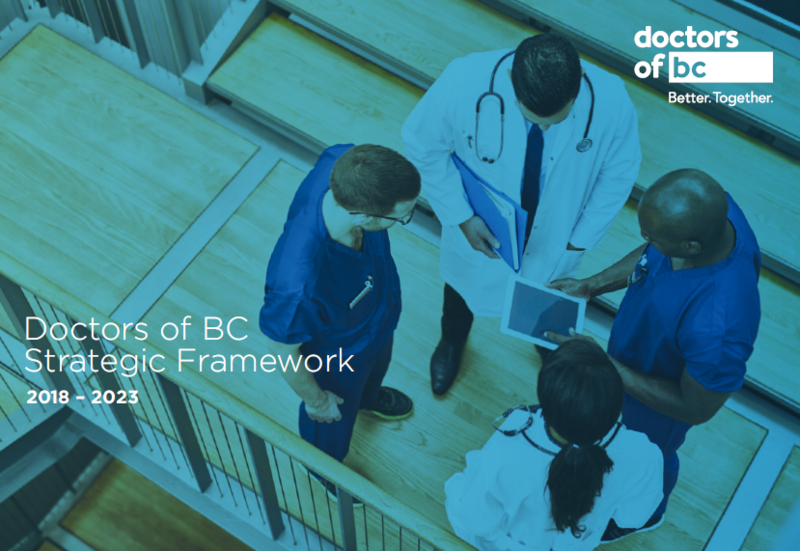 Learn about the legislative framework in the BC healthcare system. Why "need to know" rules over "nice to know"
How Should it be Destroyed?